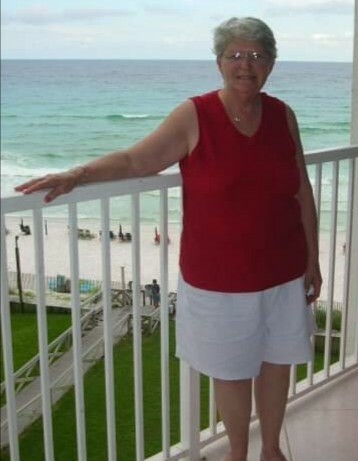 Patricia Gail Lowe (Talley), of Vilonia, Arkansas, passed away peacefully on March 29, 2019 at the age of 74. Patricia was born on January 11, 1945 in Chickamauga, Georgia to Bill and Ruth (Foster) Talley. Patricia is survived by her two sons, Rodney Coulter (Glenda) of Georgia; Jarred Lowe (Mandi) of Louisiana; daughter, Jennifer Earles (Richard) of Vilonia; two brothers, two sisters, six grandchildren, seven great-grandchildren, as well as a host of extended family and friends. She is preceded in death by her husband, L.J. Lowe and her son, Ricky Coulter, and two brothers. The family will be announcing a memorial celebration. Cremation arrangements are under the care and direction of Vilonia Funeral Home 1134 Main Street Vilonia, AR 72173. Sign the online guestbook at www.viloniafuneralhome.com.